In 1994 Indigenous people around the world raised the alarm about scientists who wanted to steal their biological material, patent it and make drugs from it. The scientists were part of the Human Genome Diversity Project (HGDP), a companion project to the Human Genome Project that completed sequencing of the entire human genome in 2001. The HDGP aimed to map out the different variants of those genes that existed throughout the world. Scientists believed that analysing the small differences in gene sequences between different groups could show how humans migrated across the globe over the past 100,000 years. The Vampire Project not only jeopardises the rights and safety of the peoples targeted, but could also lead to the cultural, political and social complexity of Indigenous identity and Aboriginal rights being reduced to an arbitrary genetic test. It is not unreasonable to speculate that such research could be used for biological warfare in some form, given exchanges have already taken place between medical researchers and the United States military establishment. There is no evidence that HGDP scientists ever wanted to patent Indigenous DNA, let alone make biological weapons against Indigenous people. But these accusations reflect the extreme level of mistrust Indigenous people have had in genetics, and the extreme level of ignorance HGDP scientists have had of Indigenous experiences and perspectives. 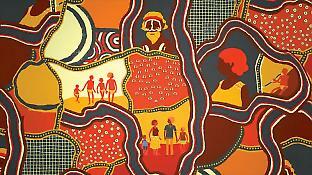 Indigenous Australians have been the subject of scientific research for more than a century. Well into the 20th century, many scientists considered Aboriginal Australians to be the most primitive “race” on earth, echoing views used to justify British colonisation. Research practices were also demeaning by our standards. In the Board of Anthropological Research expeditions in the 1930s, for example, Aboriginal people were lined up, a number was painted on their upper arm, and hundreds of body measurements were recorded. In the same period, Aboriginal people suffered malnutrition and mistreatment on missions, were forcibly taken from their families and raised in institutions (called the Stolen Generations), had no land rights, were not able to vote and suffered brutal racism in mainstream Australian society. By the time of the HGDP in the 1990s, many of these things had improved for Indigenous people, but huge disparities in health, education and employment remained and the memories of demeaning research practices were fresh. HGDP scientists from outside Australia circulated a list of “Isolates of Historical Interest” – their technical term for communities they wanted to sample to learn more about evolution. They were shocked when Indigenous people in Australia and elsewhere found this insensitive and insulting. The HGDP was a low point in the history of Indigenous genetic research, and Australia was particularly affected. For 20 years after the HGDP, genetics was in the too-hard basket. The common belief among scientists and Indigenous people was that “you can’t do genetics in Indigenous communities”. Over those two decades, genome science has been transformed. As other articles in this issue explain, since the human genome was first sequenced 15 years ago, the pace of change has been incredible. Genomics is becoming a routine part of health care and genetic ancestry testing is readily available. 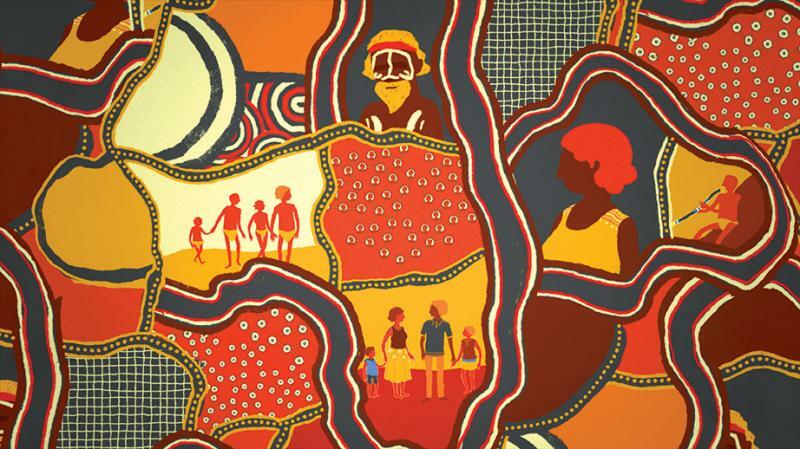 More than ever before there are benefits that genetics can offer Indigenous Australians. In medical research, genetics can be used to better understand both common and rare health conditions and help doctors prescribe the right dose of the right medicine. Members of the Stolen Generations who don’t have information about their Indigenous ancestry may be able to use genetics to reconnect with family. But to unlock the potential of genetics to benefit Indigenous Australians, there are many ethical issues that must be carefully considered. As other articles in this issue show, the ethics of genetics is already complicated. Using genetics with Indigenous people adds extra layers of complexity. First of all, Indigenous people are an example of a “socially-identifiable” group. As well as being individuals, they identify with the larger cultural group. This means that potential negative effects of genetics can impact on a wider group of Indigenous people than those actually participating in the research. If a research project finds that Indigenous people are susceptible to a particular disease, this has the potential to increase discrimination against the whole group. For example, genetic research on addiction in a group of Maori reported that a particular gene variant was related to addiction. The variant is also associated with risk-taking and aggression, and is known as the “warrior gene”. The study, published in the New Zealand Medical Journal (http://tinyurl.com/hy6xz5k), was widely reported in the international media as proof that Maori had the “warrior gene” and were genetically predetermined to be violent. The way it was reported had the potential to contribute to racial stereotyping and genetic or racial discrimination by insurance companies. To minimise the risk of group harm to Indigenous people, scientists need to be aware of how their research might be reported in the media – something they may not usually think about. To us, any part of ourselves is sacred. Scientists say it’s just DNA. For an Indian, it’s not just DNA, it’s part of a person, it is sacred, with deep religious significance. It is part of the essence of a person. Maori people in New Zealand have created research practices and biobanks that draw on their cultural beliefs. For one genetic research project, a “kaitiaki” group of Maori people was formed to look after the blood samples and make sure the research benefited the community. Two elders who were employed as “spiritual guardians” for blood and urine samples conducted a ceremony in the research laboratory to make it culturally “safe”, and even travelled with samples to a laboratory overseas. In another example, the Christchurch Tissue Bank offers participants the option of having their sample disposed of with a Maori blessing when it is no longer needed for research. Interestingly, a number of non-Maori participants have also requested this karakia blessing for their samples. Indigenous cultural beliefs about human origins are another potential source of disagreement and misunderstanding between scientists and Indigenous people. Many Indigenous cultures believe they were created in the place they live, in contrast to scientific evidence that indicates Homo sapiens evolved in Africa and migrated from there to the rest of the world from around 100,000 years ago. The disagreement between these two views has been strongest in North America. Native Americans have objected to scientific explanations that the first Native Americans migrated from Asia across the Bering Strait 15,000 to 45,000 years ago. Some have argued that scientific accounts of population history threaten Indigenous people’s land claims and sovereignty rights, although to date scientific knowledge about ancient population movements has not been used by any government to deny Indigenous people these rights. Collective consent is an important strategy to navigate these issues. There are many Indigenous organisations, such as Aboriginal health services and land councils, that can work with researchers to make sure that their project provides the most benefit and poses the least risk of harm to the community. Indigenous organisations can also provide support to help projects gain approval from a Human Research Ethics Committee or a research permit to enter Aboriginal land. Working with communities can ensure that research practices are in line with local cultural preferences and beliefs. For example, a recent study of the attitudes of Alaskan natives towards genetic research found that many participants believed they should be told exactly what kinds of containers samples are stored in, what chemicals are used to protect frozen samples, how the freezers are kept safe, and what will happen to samples if the donor dies (http://tinyurl.com/z67ps2d). Scientists would not routinely include this information to participants, but they should if they work in Alaskan native communities. The final ethical issue that needs to be considered to unlock the long-term benefits of genetics for Indigenous people is benefit itself. Most people participate in research because of altruism – the belief that they are helping others who have their disease, or helping society in general. Most research has long lead times before discoveries turn into health benefits. Indigenous people generally have poor access to health care, and may be the least likely to receive the health benefits of genomics. Far from benefiting, Indigenous people who experience projects like the Human Genome Diversity Project and the “warrior gene” may feel they are much more likely to be dis­advantaged by genetic research. For these reasons, the National Health and Medical Research Council’s Indigenous ethical guidelines state that research should offer direct benefits to Indigenous communities (http://tinyurl.com/gwsfhbc). For example, providing employment, training and professional development opportunities for Indigenous people ensure that Indigenous communities directly benefit from research projects and build the capacity of the Indigenous people to do research themselves. The best solution to overcoming the ethical challenges of Indigenous genetics is to support Indigenous people to become genetic researchers and clinical geneticists. Even when that happens, however, non-Indigenous scientists must educate themselves on Indigenous history and culture so they can effectively engage in dialogue with Indigenous people. If science fails to meet the challenges of engaging Indigenous people, the benefits of genetics will only flow to non-indigenous people, further widening the gap of disadvantage between Indigenous and non-indigenous Australians. Emma Kowal is Professor of Anthropology in the Alfred Deakin Institute of Citizenship and Globalisation at Deakin University, and Deputy Director of the National Centre for Indigenous Genomics at the Australian National University. Simon Easteal is Research Professor at the John Curtin School of Medical Research, and Director of the National Centre for Indigenous Genomics at the Australian National University. Mick Gooda is the Aboriginal and Torres Strait Islander Social Justice Commissioner at the Human Rights Commission, and Chair of the Indigenous Governance Board of the National Centre for Indigenous Genomics. An Indigenous Governance Board that has overall responsibility for the general direction and management of the Centre. It ensures that NCIG’s governance and decision-making is in the hands of Indigenous Australians. Web-based dynamic participant consent that harnesses the high uptake of mobile technology in Indigenous Australia to empower participants to make ongoing decisions about the use of samples and data for different kinds of research over time. An independent Indigenous Collection Access Committee made up of representatives from regional and national Indigenous research ethics and other organisations. This committee provides an additional level of Indigenous engagement, and ensures that only research of benefit to Indigenous communities is supported. A foundation of trust needed for effective reciprocal relationships and long-term success. This has been achieved through a culturally sensitive and respectful approach to community engagement and effective communication of difficult concepts and complex information to research participants. It has enabled the development of a new approach to consent that accounts for the importance of family connections and community identity in Indigenous decision-making processes. From the start, NCIG has integrated science with the social sciences and humanities, including anthropology, bioethics and history. NCIG’s success at integrating different disciplines will ensure that the Centre plays a leading role in policy development, and conducts science in a way that responds proactively to social, political and cultural change.